Like many great things, traveling in limousines came from the USA. In the earlier days it was only the rich and wealthy, like politicians, popstars, moviestars, CEOs who could afford to own, or rent limousines. A limousine is the perfect luxury, comfort, and fun that one could hope for. Luckily by today limousine rental has become less expensive, so not only the rich, but even those who are looking to have a glorious wedding or anniversary have the opportunity to rent a limousine. Limousines have a wide variety of uses, they can be rented for parties, stag, or hen nights, sightseeing trips, banquetes, proms, airport transfers, and much more. 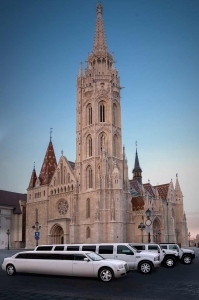 Limo-King was the first company to offer limousines for rent in Budapest, we have been in the business since 1998, so we can proudly say that we are professionals in the limousine renting area. We have served thousands of happy customers over the years, with very positive feedback. 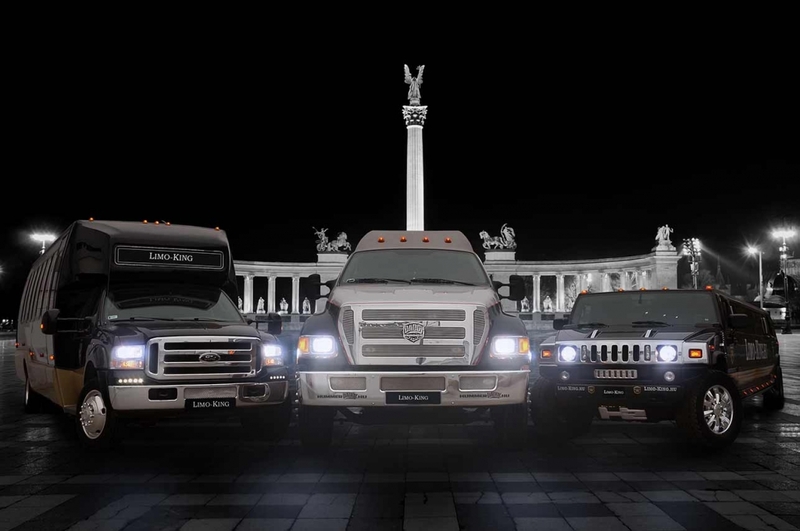 Since then we have merged with Limo-King and now offer the widest selection of limousines in Hungary. Our drivers are friendly and very helpful. We have a wide variety of limousines for rent, for nearly any occasion. Our fleet consists of Hummer limousines and party buses. Our prices are very affordable, as we are not an agency, you rent the limousine from us directly. Contact us for if you need a special price quote for your limousine hire in Budapest. If you re looking to Rent a Limousine or Hire a Limousine in Budapest, you’ve come to the right place at LIMOKING.